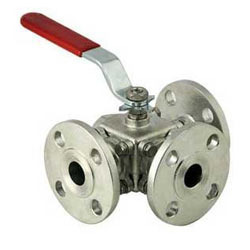 We are a leading Manufacturer of high pressure ball valves and manually operated ball valves from Secunderabad, India. Keeping in mind the precise demands of clients, we offer a wide range of High Pressure Ball Valves. These are ergonomically engineered using first grade components and following international industrial standards. Demands of these products are increasing day by day owing to its high functional efficiency, reliability and superlative performance. We are proud to introduce ourselves as one of the prominent organizations, engaged in offering a wide range of Manually Operated Ball Valves. These are precisely designed and developed as per world class standard and by implementing best available technologies. Our valves are acclaimed for their robustness, high functional efficiency and consistent performance.